Take Care of Your Skin with Philosophy! I can't stress enough how much I've been an avid fan of philosophy products over the years. I was first drawn to the encouraging and motivational quotes on their packaging to actually using the products and finding them really effective for my skin. They carry over a handful of different skincare lines, which is a great thing for catering to all types of skin and skin concerns out there, but it can be a little confusing and overwhelming when choosing what's right for you. 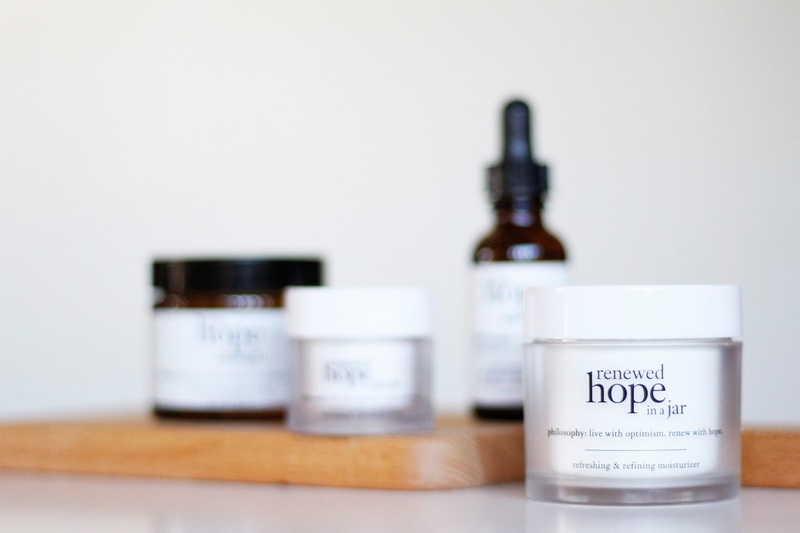 I'm here to give you a little break down of some of my favorite skincare lines, most of them being the "hope" lines. 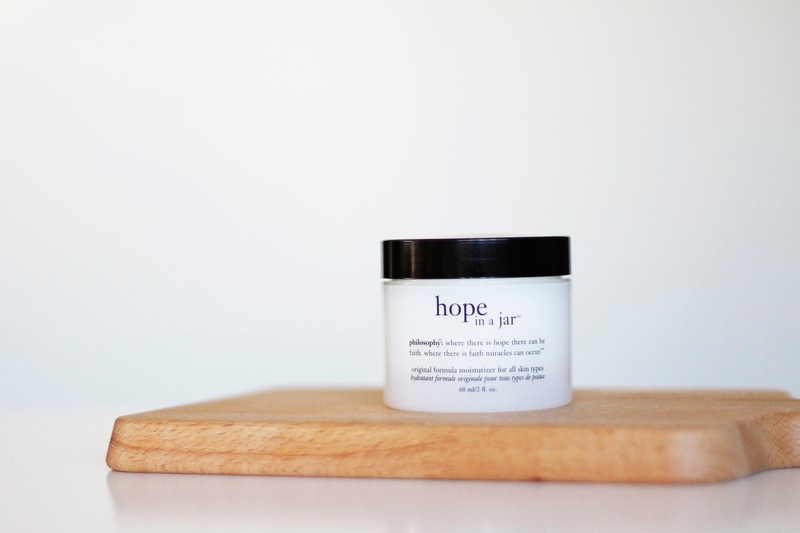 hope in a jar is philosophy's original lightweight formula of their daily moisturizer. This line is great for anti-aging / those who have signs of aging. 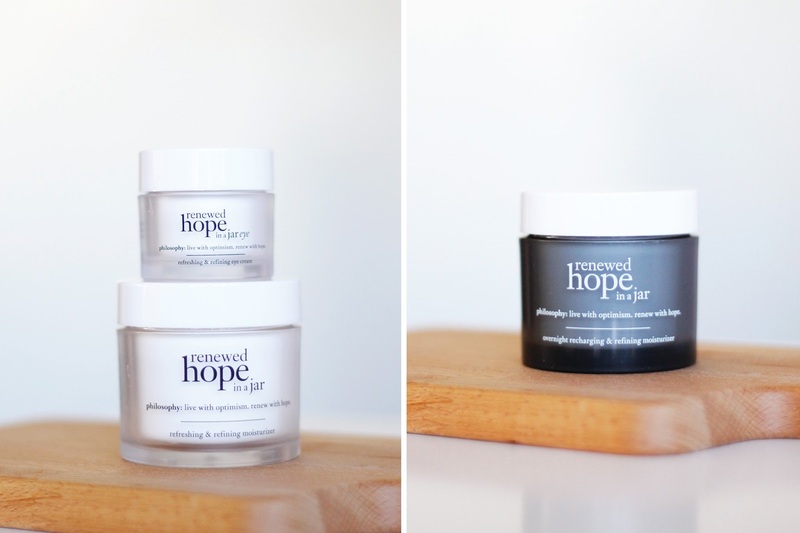 renewed hope in a jar is the whipped version of the original hope in a jar. This line is great for aging prevention / early signs of aging. 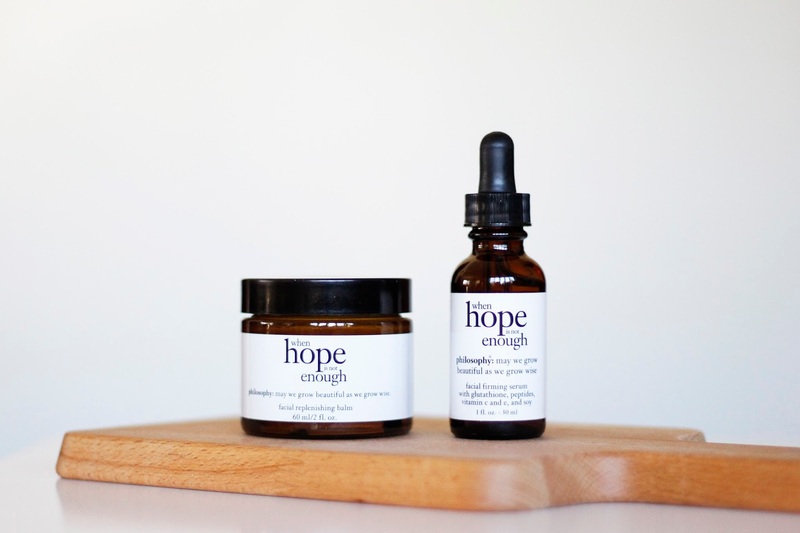 when hope is not enough restores dry and delicate skin with their non-greasy replenishing balm. This line is great for those who have dry to normal skin. 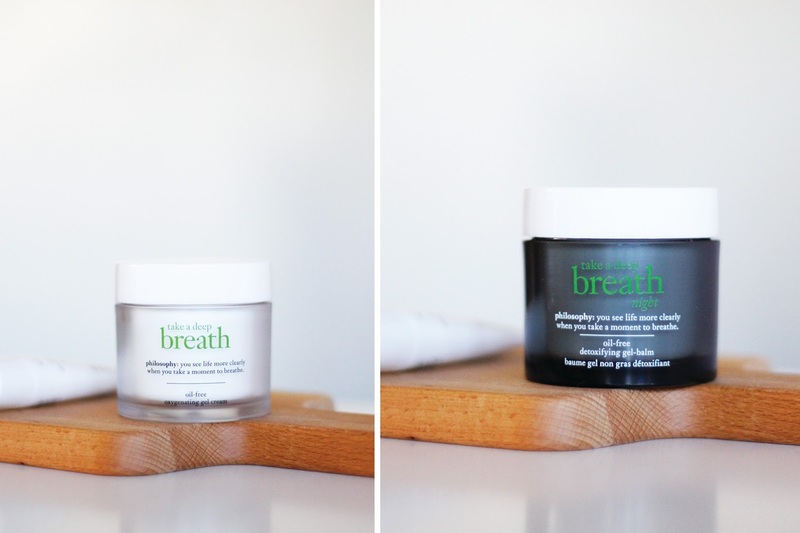 take a deep breath is an oil-free (perfect for oily skin types) and oxygenating line. 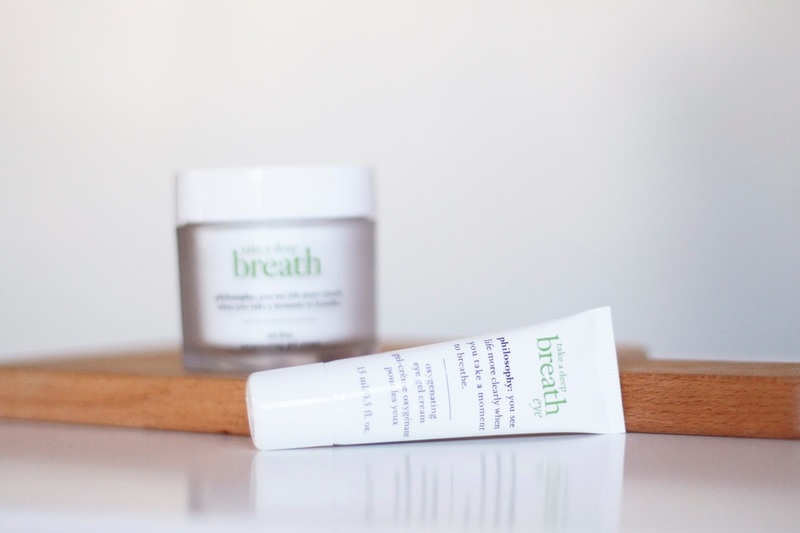 This line is great for those with tired and stressed skin. Are any of these skincare lines calling out to you? Don't forget to check out the rest of philosophy's skincare lines including miracle worker (advanced anti-aging), clear days ahead (acne-prone skin), the microdelivery (exfoliation), etc.